Dean Paul K. Halverson, IU Richard M. Fairbanks School of Public Health at Indiana University–Purdue University Indianapolis, has been named to the Secretary of the U.S. Department of Health and Human Services’ Advisory Committee on National Health Promotion and Disease Prevention for 2030. The Advisory Committee will provide advice and recommendations for objectives for the Healthy People 2030 initiative, scheduled for release in 2020. The initiative establishes disease prevention and health promotion objectives for the nation over the next decade. Learn more about this exciting opportunity here. Our own Dr. Joan Duwve was recently recognized by the Fort Wayne-Allen County Department of Health for her work on the opioid epidemic in Indiana. Read more about this award here. Join us in congratulating Dr. Duwve on this honor! All are invited to Dr. Valerie A. Yeager's presentation, “Public Health Workforce & Population Health: Contemporary Challenges,” on Monday, December 5 at 1:30pm in RG 6040. 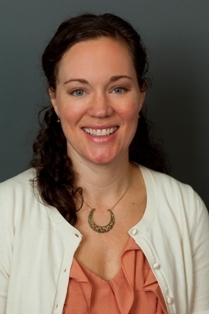 Dr. Yeager’s research applies a health services research perspective to various settings and issues ranging from public health departments to physician practices and from access to care to quality improvement. 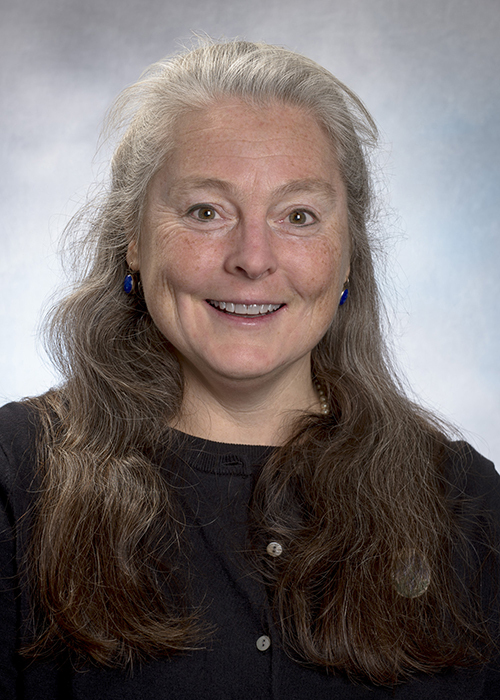 Much of her work is conducted at the system or organizational level and is part of a nationally growing area of research called public health systems and services research (PHSSR). Recent studies have examined public health partnerships and quality improvement in local public health settings. Other research has focused on the use of health information technology such as health information exchange, electronic health records, and SMS across various settings, locations, and populations. Dr. Yeager has also served as an investigator on studies that examined, for example, state and local barriers to utilizing public health emergency response funds during disasters, the organization and structure of public health departments, and the impact of the 2010 Gulf oil spill on the healthcare sector in Alabama. Epidemiology Talk on Tuesday, December 13, at 1:00pm, "The Elusive Etiology of Multiple Myeloma"
The Epidemiology Department will host Brenda M. Birmann, ScD, to present, “The Elusive Etiology of Multiple Myeloma,” on Tuesday, December 13, at 1:00 pm in RG 6040. Dr. Birmann conducts population-based studies on the etiology of multiple myeloma, an incurable malignancy of differentiated plasma cells, with the goal of identifying modifiable risk factors and elucidating underlying biologic mechanisms that may be exploited for myeloma prevention. Her research in the Nurses’ Health Study and Health Professionals Follow-up Study cohorts and in international consortia has, to date, focused primarily on the role of body mass index–the only known modifiable risk factor for multiple myeloma–and more generally on the role of energy balance- and inflammation-related factors in multiple myeloma etiology. Her talk will include a brief review of the epidemiology of multiple myeloma, including her recent work on obesity, aspirin use and genetic susceptibility and a discussion of research directions that could further advance the development of much-needed prevention strategies. 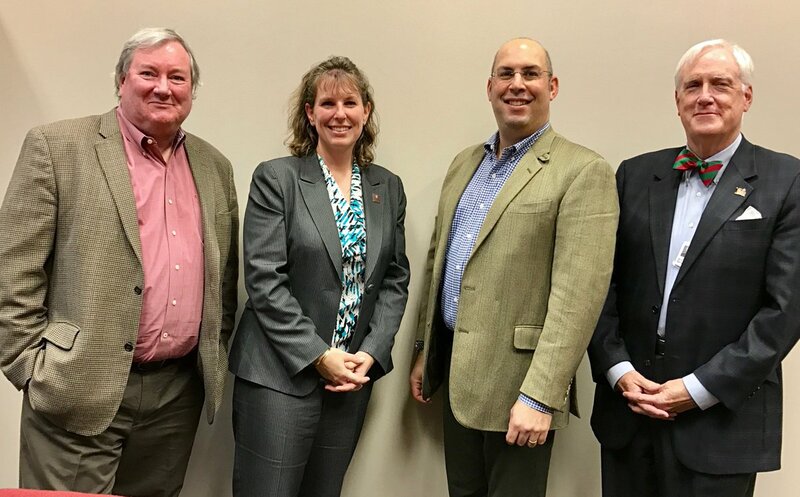 In partnership with the IU McKinney School of Law, Dr. Jennifer Ibrahim presented at the HPM seminar series on, "Public Health Law Research: Building Infrastructural Public Health Law," on November 29. On the right she is pictured with our own Ross Silverman and Dan Evans. To ensure the protection of both the university and personal information that is maintained in IU systems, increased security has been implemented in various IU systems over the past several months. In June, the Employee Center began the use of the Two-Step Login methodology, and on September 1, the IUIE system is the next system to require it. IU currently utilizes the DUO system for the Two-Step Login. Please refer to the email sent on October 24 for more information on how to setup the Two-Step Login. Two-Step Login will be required in order to access your electronic W2 for 2016 after the first of the calendar year. The DUO system allows for the use of a hardware token or a phone/mobile device as the second authentication method. Lync phones, which we have in most Public Health offices, are not valid for use as the second authentication method as they are activated by the same User ID/logon credentials used to access other IU systems. Alternatively, personal cell phones, mobile devices (tablets) and/or home phones (when working remotely) can be used to setup the required DUO notification process. In the past, FSPH provided hardware tokens to those with a valid business reason to access the few systems requiring this second level of authentication. This was done to eliminate the need for these individuals to utilize their personal phone for business purposes. But now, faced with the fact that more and more systems are requiring this type of logon process, we must address the issue of a widespread use of DUO. You can receive face-to-face support for Two-Step Login at an event on campus. All faculty and staff at Public Health are encouraged to begin using a digital signature for email. Please follow the instructions in the link to obtain and install your digital signature: kb.iu.edu/d/bctk. These instructions must be followed carefully and may take some time to complete. Please note that the digital signature must be installed on any computer or device from which you wish to send digitally signed email. Some devices and systems have known compatibility issues: kb.iu.edu/d/aluf. The purpose of using a digital signature is to help verify the identity of the sender, which helps prevent email spoofing and phishing attacks which are occurring with increasing frequency at IU. Join the Office of Internation Affairs for a moderated discussion on Wednesday, December 7 from 11:00 am-12:30pm in ES 2132 Global Crossroads Classroom. One of IUPUI’s strategic initiatives is to provide a global learning experience for each student. This event offers practical information about how to set up a virtual exchange in order to help students gain intercultural, international, and global competencies. Join us for an informal, moderated panel featuring IUPUI faculty and staff who regularly use the Office of International Affairs’ Global Crossroads Classroom to enhance learning outcomes for their students. Register here. Critical Conversations: Free Speech v. Hate Speech: Where Do We Draw the Line? The IUPUI Office of Intercultural Literacy, Capacity and Engagement (ILCE) is pleased to offer the following lunch-time event on Wednesday, December 7, 12:00 - 1:00pm, "Critical Conversations: Free Speech v. Hate Speech: Where Do We Draw the Line?" Bring your own lunch to the University Library, UL 1126. The ILCE Office sponsors monthly Critical Conversations like this one where participants can engage in a timely issue over the lunch hour. These Critical Conversations provide informal collegial space to dialogue about issues of social justice, equity and inclusion and are open to IUPUI faculty, staff, students and the Indianapolis community. More information about the ILCE Office can be viewed here. The Indiana CTSI with the IU Center for Global Health is soliciting proposals from applicants developing or currently involved in collaborative global health research projects. The purpose of this RFA is to foster and encourage the development of new collaborative interdisciplinary research that seeks to identify innovations to address key global health challenges and improve health outcomes in resource limited settings. The deadline is December 12 at 5:00pm.Learn more about how to apply here. Nominations are currently being accepted for the IUPUI Top 100 Student Recognition Awards. Nominations and Letters of Recommendation are due by January 18, 2017. Nominators only need the students network ID (first part of their IU email address) to submit a nomination, students fill out all of the required paperwork. Students may also self-nominate. Eligible students are juniors and seniors seeking their first bachelor’s degree with a minimum cumulative GPA of 3.2 who have completed a minimum 5 semesters (on any university campus) and 56 credit hours applicable to her/his degree program; 25 or more of those hours must have been completed at the Indianapolis campus as of the Fall 16 semester. Learn more by visiting the IUPUI Top 100 website. The Office of Equal Opportunity is excited to accept nominations for the Joseph T. Taylor Award for Excellence in Diversity. The awardees will be selected from nominations by faculty, staff or students recognizing exemplary IUPUI individuals, academic and support programs, events, policies and activities.Learn more here. Amanda Briggs, your staff council representative, is collecting winter items now until Friday, December 9. Suggested items for men and women include hats, gloves, scarves, heavy socks, long underwear, blankets, hand warmers, drawstring bags, backpacks, hygiene items, bottled water and candles. If you have anything you would like to donate, please drop them off with Amanda Briggs at RG 6063. Start your holiday season off with some fun and cheer at IUPUI’s Annual Holiday Night at the Children’s Museum of Indianapolis! Bring the whole family for an evening filled with holiday spirit, tasty treats, museum exploration and photos with Santa. All faculty, staff and alumni and their families are invited. There is a unique Holiday Night experience for alumni ages 21-34. Visit the IUPUI Holiday Night website for information and registration details. Questions? Contact Ryan McIlrath at rmcilrat@iupui.edu or 317-274-5063. This year’s JagStart Pitch Competition will be accepting entries through February 3, 2017. JagStart is an annual elevator pitch competition that pits contestants against the clock to pitch their original ideas to a panel of judges. Students are invited to submit their ideas for innovative new products, new business ventures or compelling solutions to social challenges. For more info please visit bit.ly/JagStart2016. The Indiana Society for Public Health Education Advocacy Committee would like to invite you to participate in the Indiana Public Health Education Advocacy Summit on Wednesday, February 15, 2017. This event is an opportunity for public health professionals to collaborate, discuss the importance of advocacy in health legislation, and speak to legislators about the role of public health educators in eliminating health disparities and improving health outcomes. Plan to meet and speak with state representatives who have shared in public health efforts to improve and maintain the health of Indiana residents. Further information and the link to the Eventbrite registration can be found here.